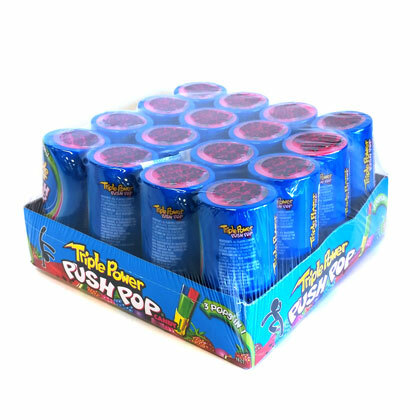 Triple power push pop fruit candy. Three flavors in one! Assorted flavors of strawberry, watermelon, and blue raspberry. 1.2 oz ea. 16 count box.